Manhattan District Attorney Cyrus R. Vance, Jr., and New York City Police Commissioner James O’Neill today announced the indictment of CLIVE DIXON, 28, for selling 86 firearms and corresponding ammunition to an undercover NYPD detective posing as a firearms dealer. The indictment also charges three Virginia residents – EMMANUEL DENTMOND, 22, ANTONIO WILLIAMS, 27, and TEAL HOLT, JR., 27 – for knowingly supplying the firearms for illegal sales in New York City. The defendants are all charged in a New York State Supreme Court indictment with Conspiracy in the Fourth Degree, as well as various counts of Criminal Sale of a Firearm in the First, Second, and Third Degrees. The indictment follows a long-term investigation, including the use of court-authorized wiretaps and social media analysis, conducted by the Manhattan District Attorney’s Office’s Violent Criminal Enterprises Unit and detectives from the NYPD’s Firearms Investigation Unit. 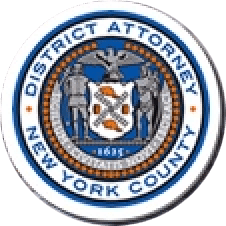 “These defendants are charged with driving up the Iron Pipeline to peddle deadly firearms in New York City on 15 separate occasions in just eight months,” said District Attorney Vance. “Virginia is the top source state for firearms trafficked into New York. As this indictment makes clear, our state’s otherwise-sensible gun laws do not meaningfully deter large-scale firearms traffickers from purchasing guns in states with weaker laws and selling them in New York. According to the indictment and documents filed in court, between March 28, 2016, and November 17, 2016, DIXON sold 86 firearms, including 65 pistols, 13 revolvers, 5 assault weapons, and 3 shotguns, as well as corresponding ammunition, to an undercover NYPD detective posing as a firearms dealer. The sales took place in or around the undercover detective’s vehicle over 15 separate transactions in Manhattan and the Bronx. The majority of the sales occurred near NYCHA’s Clinton Houses in East Harlem, as well as NYCHA’s Forest Houses in the Bronx, and on one occasion, near the Port Authority Bus Terminal in Midtown Manhattan. DIXON sold between four and nine firearms during each transaction, at an average price of approximately $1,000 per firearm with corresponding ammunition. DIXON allegedly purchased the firearms from Virginia-based co-defendants DENTMOND, WILLIAMS, and HOLT, JR. The defendants coordinated sales over the phone, through text messages, and through Facebook messages. The Virginia-based defendants purchased the weapons from local firearms dealers – at times using straw purchasers – and typically either accompanied DIXON on the drive from Virginia to New York City, or delivered the weapons directly to DIXON in New York. The investigation was conducted jointly by the Manhattan District Attorney’s Violent Criminal Enterprises Unit (VCEU) and the NYPD’s Firearms Investigation Unit. VCEU was created in 2010 by District Attorney Vance to lead the efforts of the Manhattan District Attorney’s Office in combatting gun and gang violence, with an enhanced focus on illegal firearms trafficking within New York City. Since its formation, VCEU has brought 23 indictments against 74 gun traffickers operating between New York City and states including Virginia, North and South Carolina, Georgia, Ohio, New Jersey and Pennsylvania. VCEU has increased gun trafficking prosecutions by the Manhattan District Attorney’s Office by more than 1,000 percent, and has conducted investigations resulting in the removal of more than 1,100 illegal firearms from the streets of New York City. Assistant District Attorney Patrick Doherty is prosecuting the cases under the supervision of Assistant District Attorneys Christopher Prevost, Deputy Chief of VCEU, and Christopher Ryan, Chief of VCEU, as well as Executive Assistant District Attorney John Irwin, Chief of the Trial Division. Assistant District Attorney Mark Murphy assisted with the investigation, as did Investigative Analyst Stephanie Littell. District Attorney Vance thanked Police Commissioner O’Neill, as well as Chief of Detectives Robert Boyce, Assistant Chief James Essig, Inspector Richard Green, Deputy Inspector Brian Gill, Captain Jonathan Korabel, Lieutenants Thomas McParland and Al Batelli, Sergeants Robert Abramson, Matt Griffin, and Alex Nivar, Detective Faton Alickaj, and especially, Detective Dennis Kenefick and the undercover detectives of the Firearms Investigation Unit. District Attorney Vance also thanked the U.S. Marshals Service’s Eastern District of Virginia, Norfolk and Capital Area Regional Fugitive Task Force, and the Virginia Beach Police Department’s Warrant and Fugitive Unit, particularly Detectives Mann, Jennings, Lindemeyer, and Johnson.